This isn’t how things were supposed to unfold with Facebook’s IPO. The social network’s public offering was supposed to be a once-in-a-lifetime moonshot, triggering a frenzy of interest in other social-web companies that would then ride that wave of demand to equally successful IPOs. At least, that’s what plenty of venture investors seemed to be thinking as they pushed up the private-market valuations of Facebook — which was supposedly worth $100 billion not long ago — and every other company with a social component, including Twitter. Now Facebook’s share issue looks like a disappointment at best and a train wreck at worst, and the doubts that investors have about it as a growth business are likely to trigger broader doubts about the viability of every other social-web business without a rock-solid monetization model. It’s not just Facebook’s fault, of course. Groupon was the first major disappointment associated with the social web (although many have argued that it isn’t really a technology or web-based company and that it isn’t all that social either). Nevertheless, the group-buying service’s IPO was one of the first to test the waters for a technology-related offering, and by most accounts it appears to have failed miserably: The shares are down by more than 65 percent from their initial issue price, and the company’s financial performance has been lackluster, with few signs it will improve in the foreseeable future. The other player that should share some blame is Zynga, although its poor performance is directly connected to Facebook, since the two have a symbiotic relationship: More than 90 percent of Zynga’s revenues come from the social network, and more than 10 percent of Facebook’s revenues come from Zynga-related payments. Shares of Zynga have fallen by about 70 percent from the initial offering price, and while insiders have cashed out to the tune of about $500 million, regular investors are still left holding the bag. As a result, anyone who was counting on the Facebook platform to be a cash-cow monetization scheme for social apps and other web services is likely revising their financial models by subtracting a few zeroes. 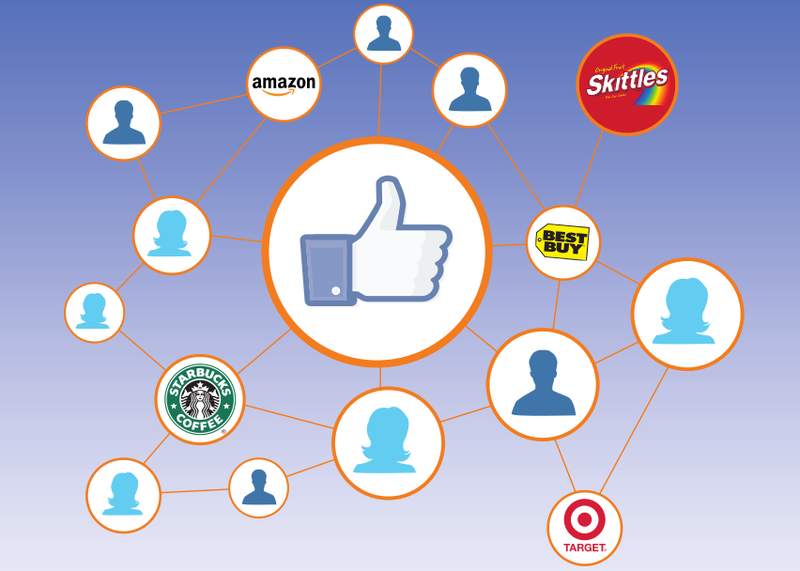 Is Facebook just a moderately successful ad platform? And now we have Facebook, which is down by more than 50 percent from its initial offering price after what the market seems to have decided was an unimpressive quarterly earnings report. Although the company met estimates, those estimates had already been reduced during the run-up to the IPO, and there were enough question marks in the results — especially in the critical area of advertising revenue and the mobile market — that investors seem to have gotten spooked. Facebook’s market value is now hovering around $51 billion, which is barely half the $100 billion it was allegedly worth before it went public (Update: According to updated figures from Facebook, its current market value is $65 billion; a number of market-data sites like Google Finance have an outdated share figure). As Om described in a recent post, there has proved to be an uncomfortably large gap between what private markets think these kinds of businesses are worth and what public investors think they are worth. So who is right? Regardless of where you come down on that question, public markets have the upper hand, since venture investors require some kind of liquidity event like an IPO to see a return on their investment. Even if they manage to pump a company’s valuation up and get out quickly after it goes public, the risk of miscalculation is still severe, and each lackluster offering makes it harder for the next. Zynga has been crushed, Facebook payments are effectively dead — Facebook is just a mediocre ad company with a ton of traffic. Of course, Facebook could come up with some dramatically profitable new monetization method: some kind of e-commerce offering perhaps (although there is still much skepticism about that as well) or a way of making virtual payments work for something other than Zynga games. Or it could start charging for features like API access or some other aspect of the platform. But that would also be a substantial risk. And so investors are left waiting for the company to show that its social ads are going to generate enough revenue to make its valuation look reasonable, or that mobile is going to be a big moneymaker. But we are a long way from that now. There is likely still room for some technology-stock offerings to do well, judging by the response to IPOs from companies like Kayak — the online travel service — and Palo Alto Networks. Both are web-enabled businesses, but they don’t rely on the same kind of advertising-based business model that Facebook and its ilk are shackled to. As a result, their monetization methods are a little more tangible and therefore easier to value. But even some of those kinds of companies are seeing valuations get reduced, as Square and others have found. In hindsight, a lot of the assumptions about Facebook and what it was going to do for both social-web valuations and the technology sector in general were aggressive, to put it mildly. While much of the fallout may take place behind the scenes, in the offices of venture capital investors and the boardrooms of private money managers, there will definitely be an accounting for those ambitious expectations. And the pressure on companies like Twitter to prove they have a solid path to monetization will be ramped up even further. If you don’t like where that is taking the company, prepare to be further disappointed. I wonder if Facebook road a “Europe centric socialism wave” that is now dieing out. As I recall it seemed back in the early days of Myspace and Facebook that Facebook had gotten a big lift from the European community. As i had saw it at the time It was that lift that had moved its trajectory ahead of Myspace and drove the sheep to the site. It was a casual observation on my part but now I wonder if Facebook will become a metaphor for the collapse of what has been a European centric socialist movement that over the past several decades infected much of the world including America. Going forward I wonder if the socialism trend is about to die also, surely parts in Europe are dieing. Btw I also agree that Facebook has more up its sleeve and we should be more patient. The problem is that stock markets are anything but patient. If they were to layout there metrics more clearly and their vision then they might begin to build a more patient and loyal investor base like apple has. I agree with matt. Facebook is an ad server and payments business. I haven’t seen a clear articulation on how they will deliver on this vision from Facebook or the vc community. All we hear is mobile, mobile, mobile and local local local. But mobile and local have some of the weakest monetization. Not suggesting that won’t change. I just think people need to be careful to differentiate between what will accelerate you user adoption and what will make you money. Mobile is great to drive customer acquisition which may or may not lead to monetization. Facebook is still a very early stage company and most people don’t quite understand the long term vision. Instead of being in a rush to make premature assumptions, I think we should all step back and realize that Zuck is smarter than we are and there is a whole lot more to come. Popularity doesn’t equal monetization. Social stock IPOs will continue to fall until they do something other than break out of the “shoot first, get a business plan later” mindset. Maybe the author thinks Newspapers are about to take off ? Or …Horse and Buggies as the transportation means of the future??? No, the article is spot on. Indeed, we have even seen this before with Yahoo and Aol (indeed, their webmail + chat + content aggregation is a lot like an earlier take on ‘social’) â€“ very large traffic, but free communities are very difficult to extract money from (and they will only become more so as the scope for advertising fades). Raw popularity (especially raw popularity of a free product â€“ remember the demand curve) simply is not worth all that much by itself. This segment of tech looks like its going to be the 21st Century equivalent of airlines â€“ widely used, but barely profitable. All of this does not mean that we will somehow start going back to older technologies (why would it), but it does mean that social companies will never be among the financial titans shaping the future. Adrian I think nobody doubts Social Media numbers are astonishing. The point in here is whereÂ´s the business model? how is value created and monetized? the author has all the right to make some questions about it, in fact many people is wondering about it for years now.